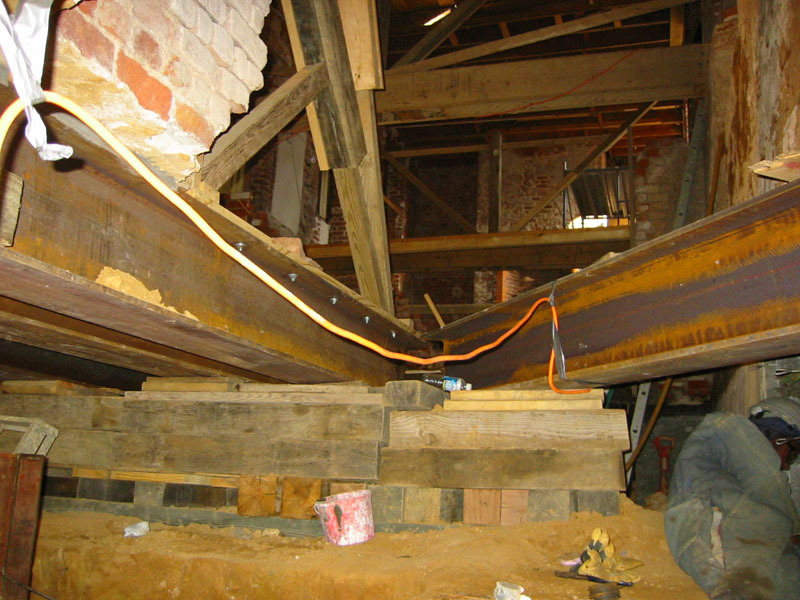 Adding sister joists to old rotted ones. 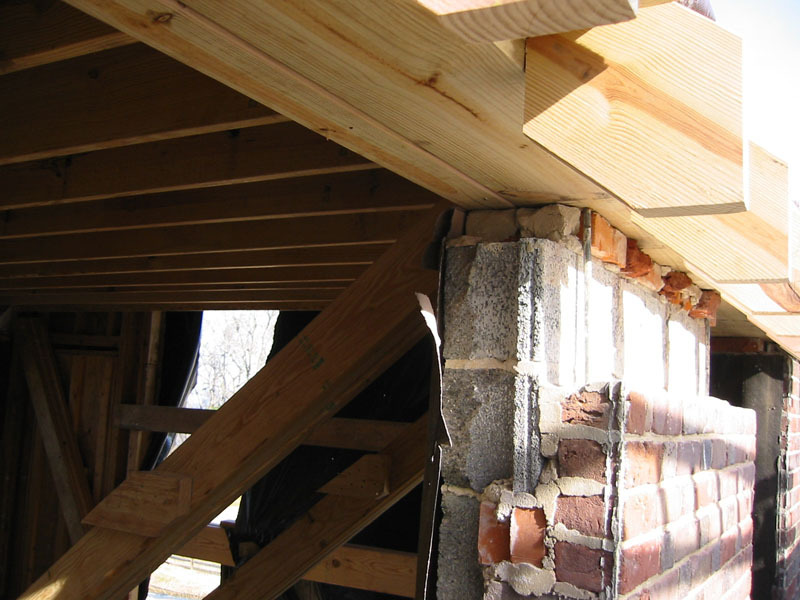 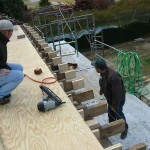 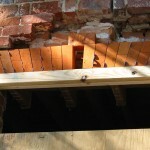 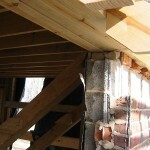 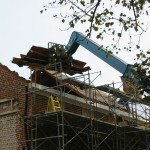 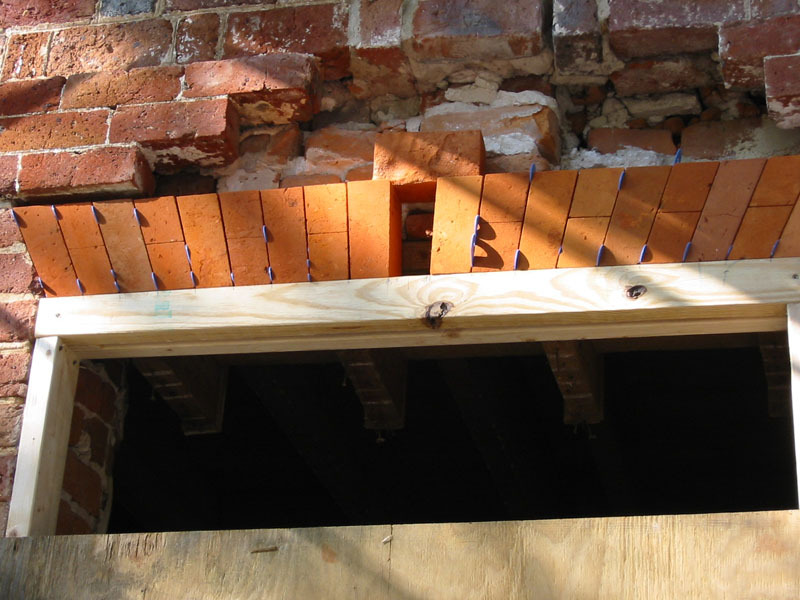 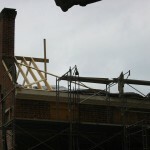 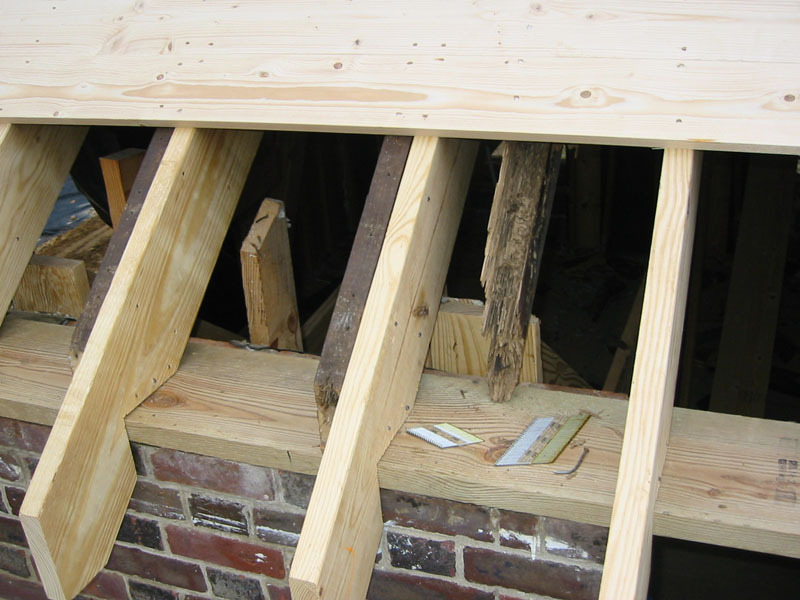 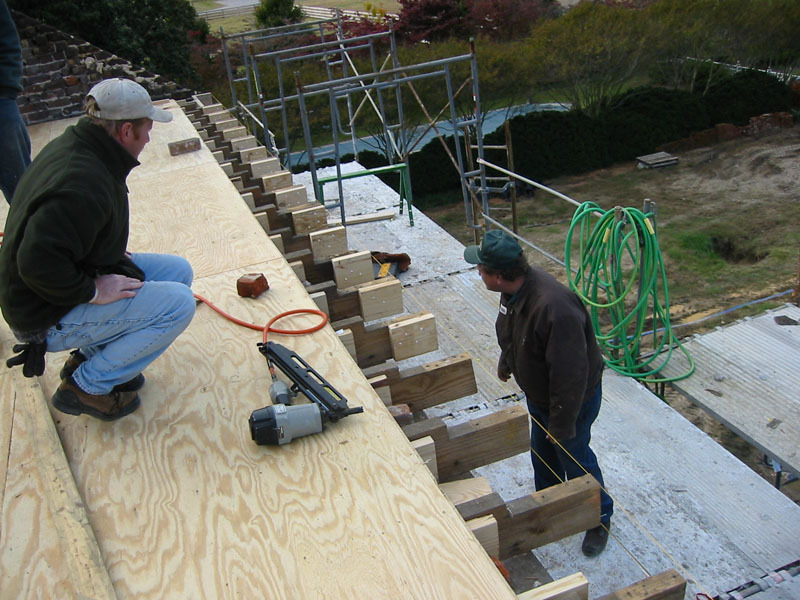 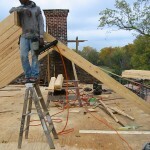 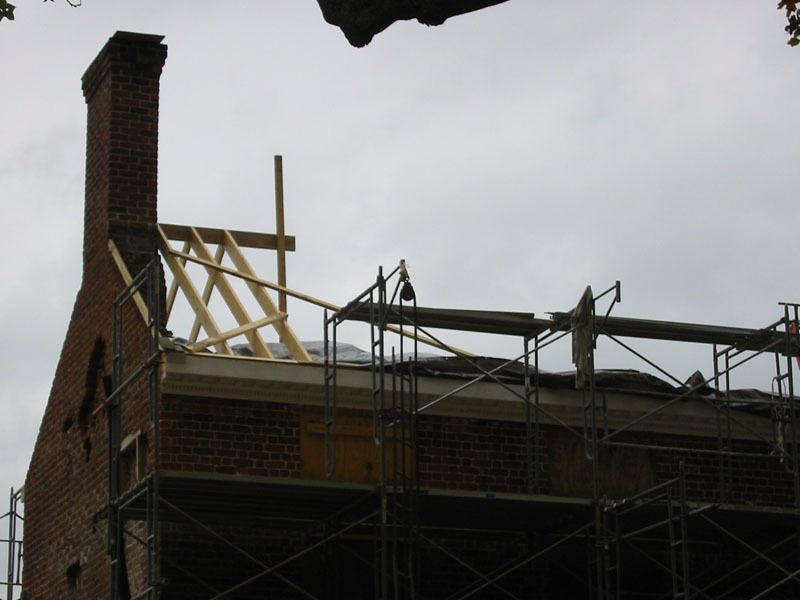 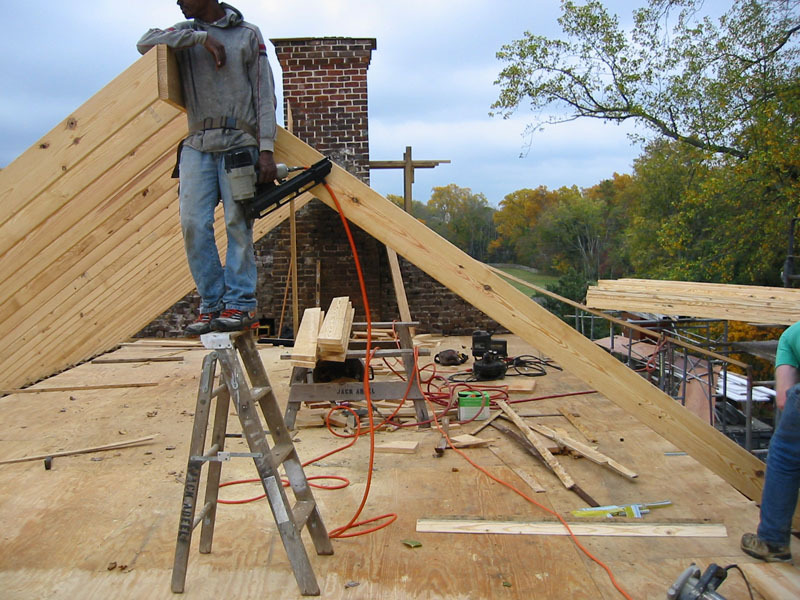 Roof framing of brick addition. 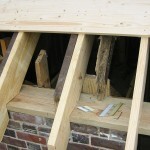 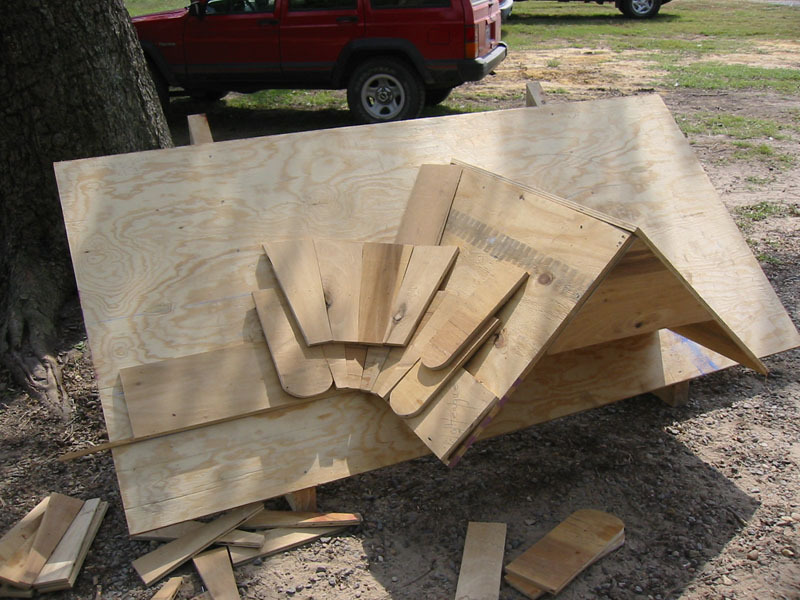 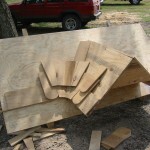 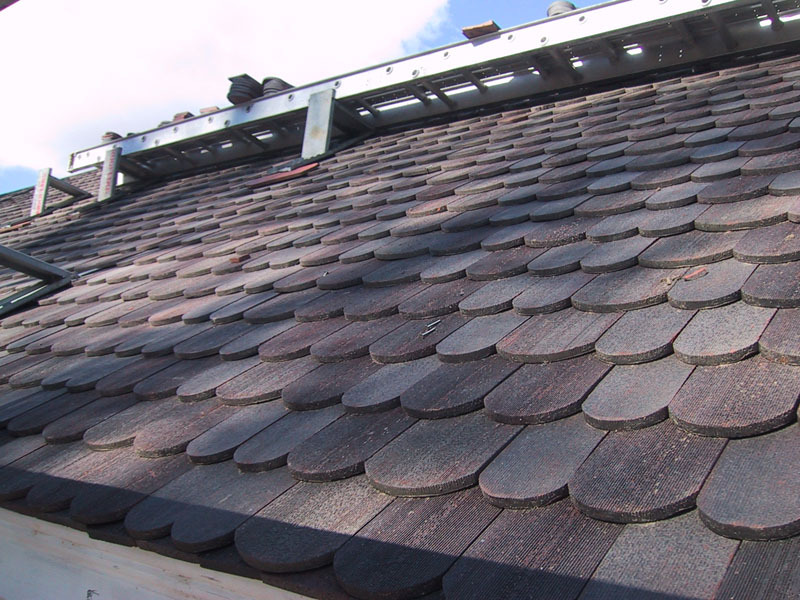 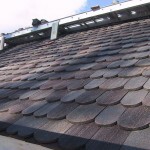 Model, roof shingle layout 2003. 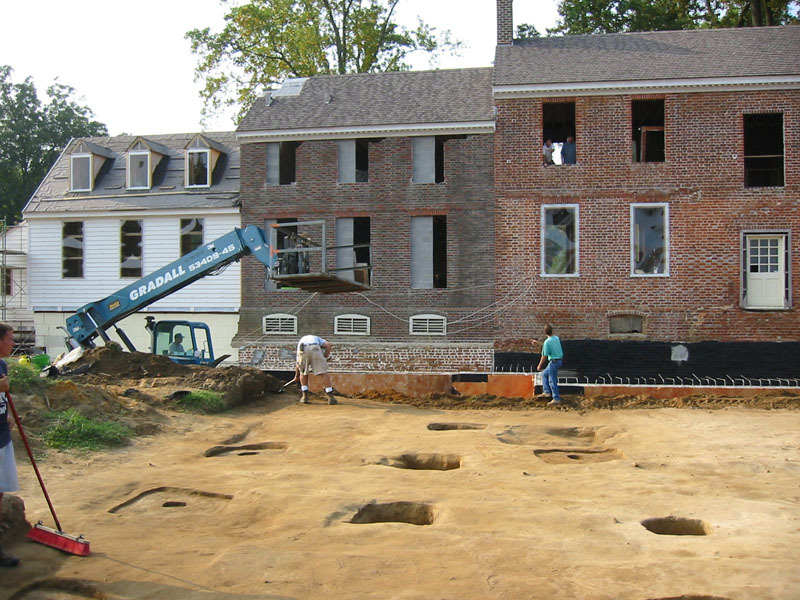 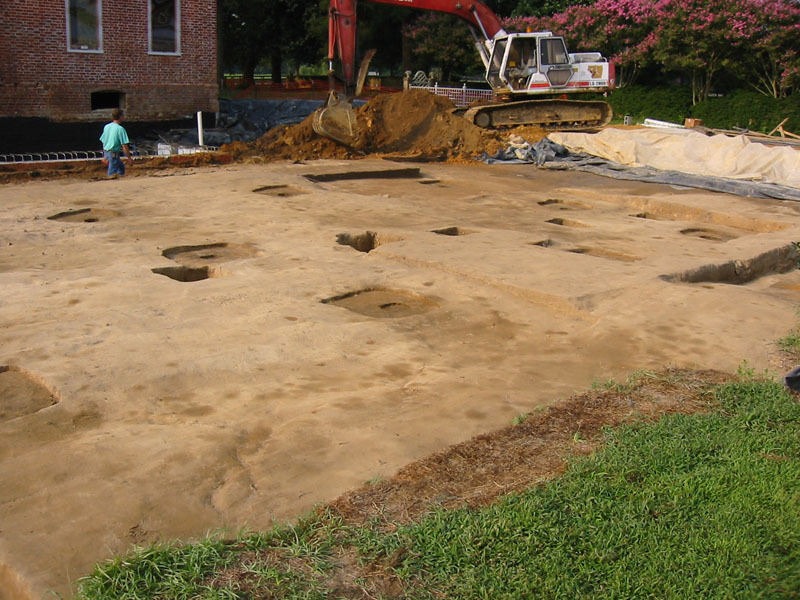 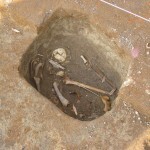 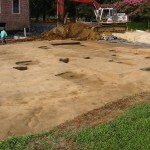 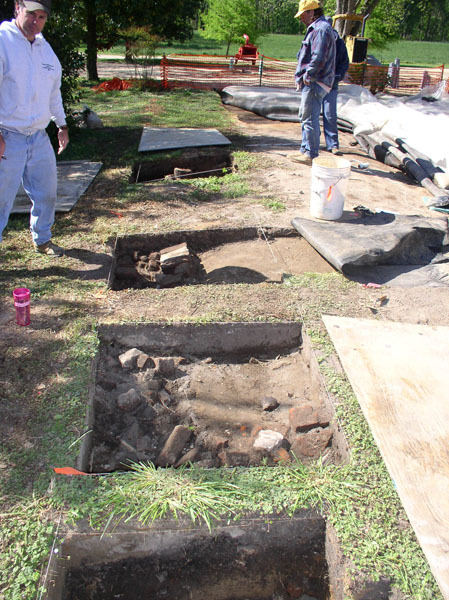 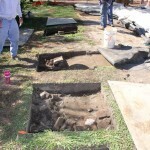 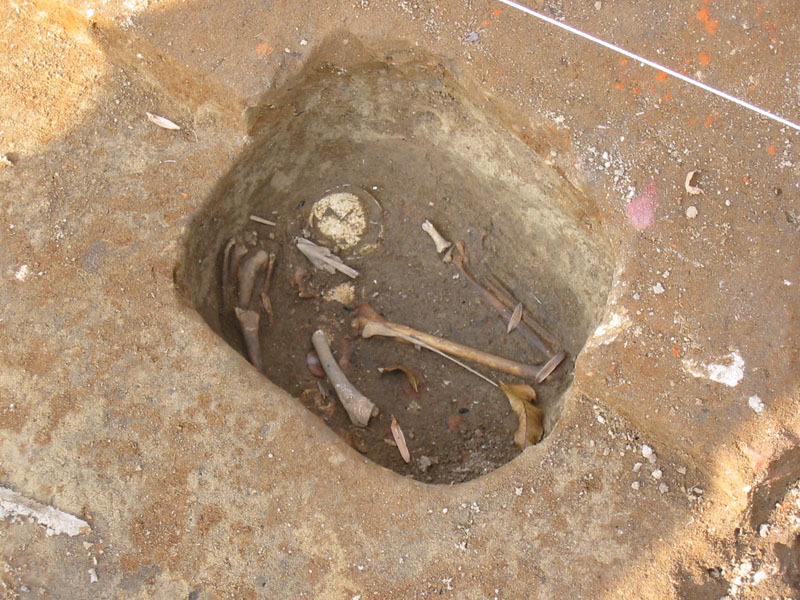 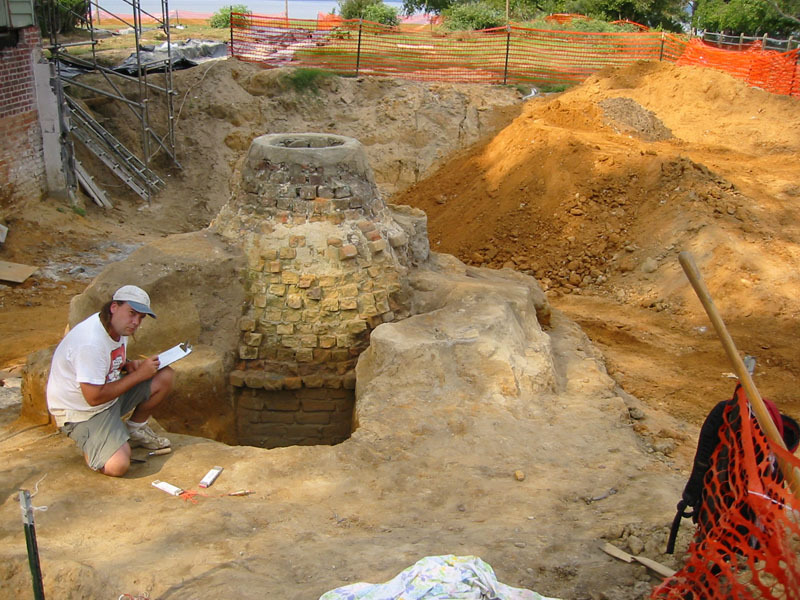 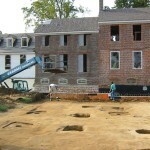 Archaeological survey of river lawn. 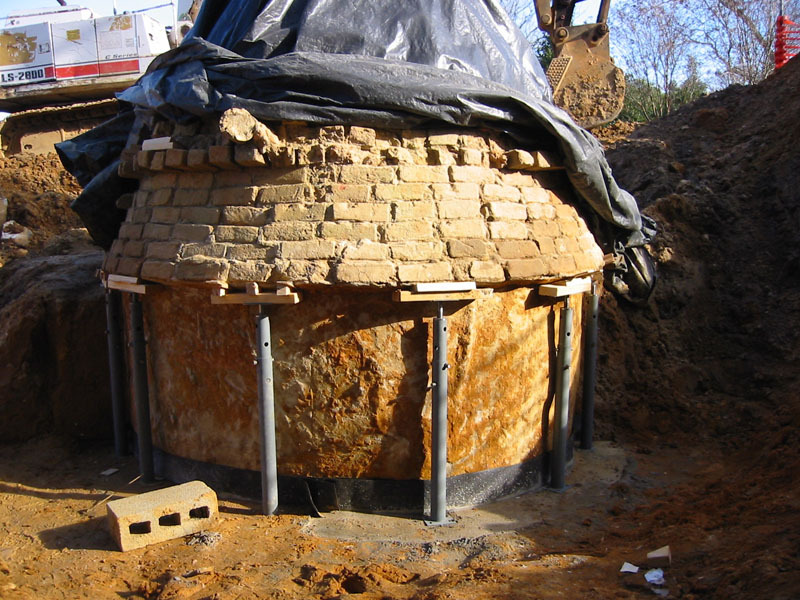 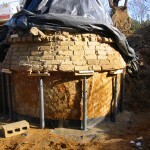 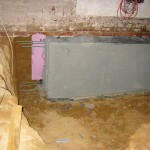 Water cistern found under frame addition. 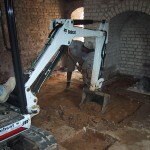 Discovery of old detached kitchen. 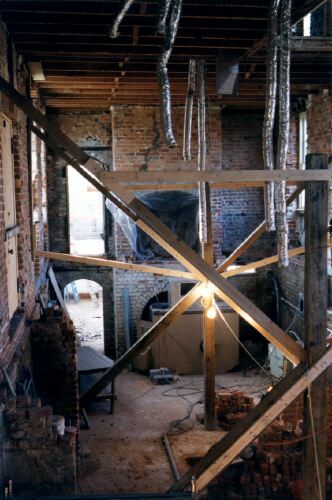 Pre restor. 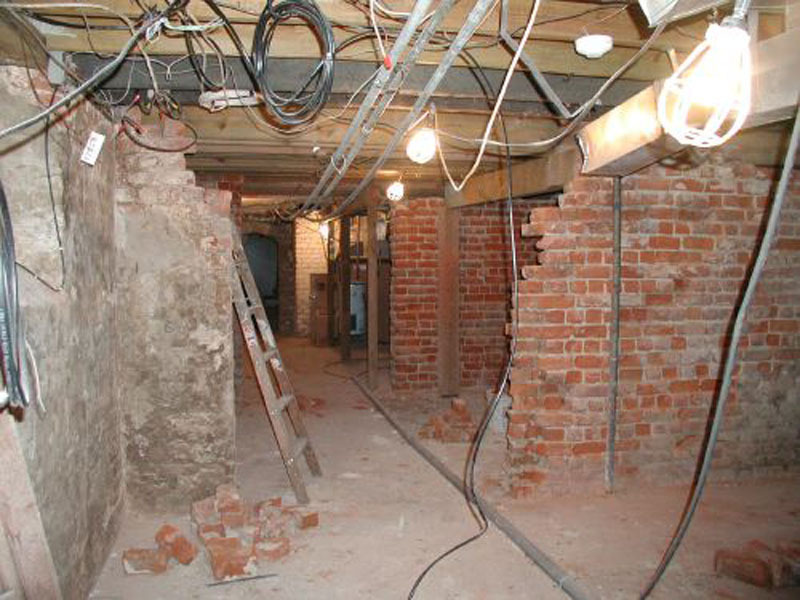 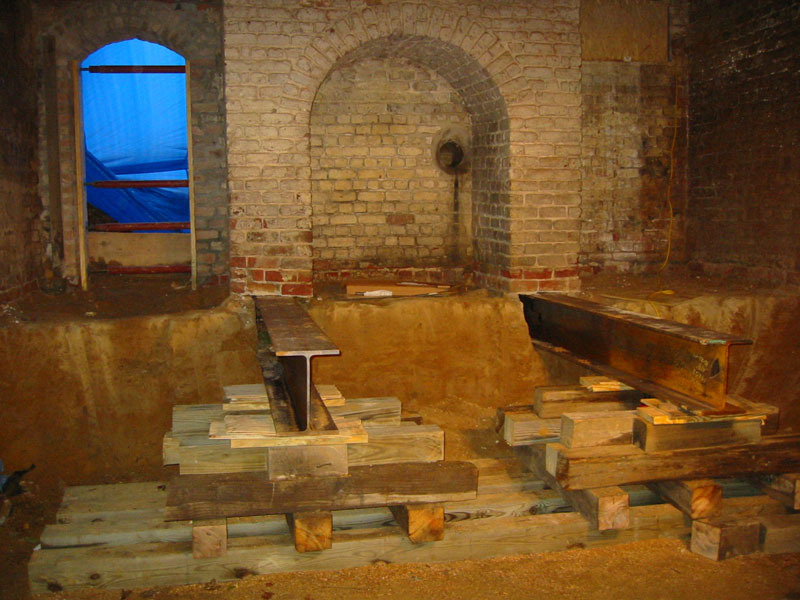 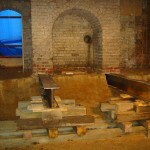 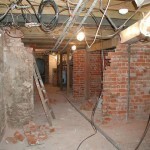 conditions of basement. 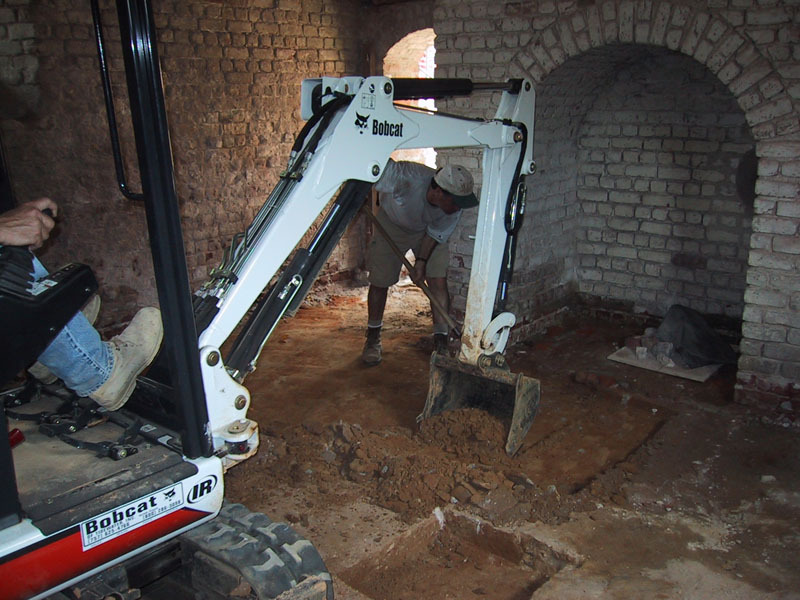 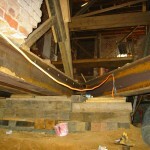 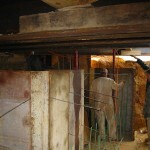 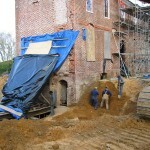 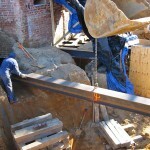 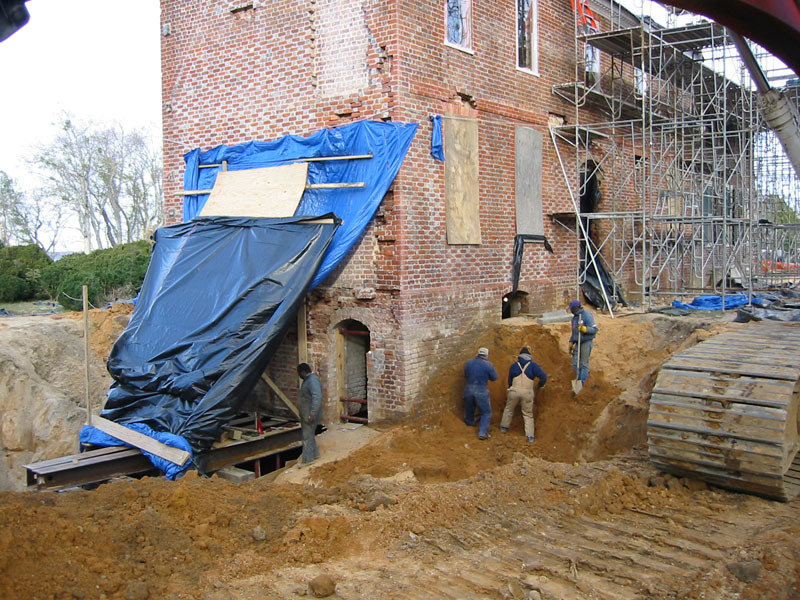 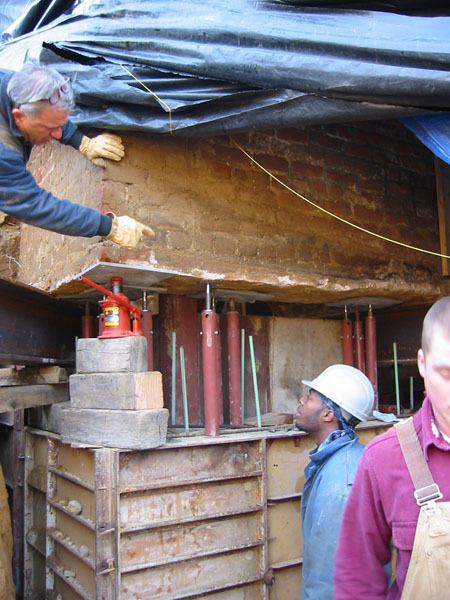 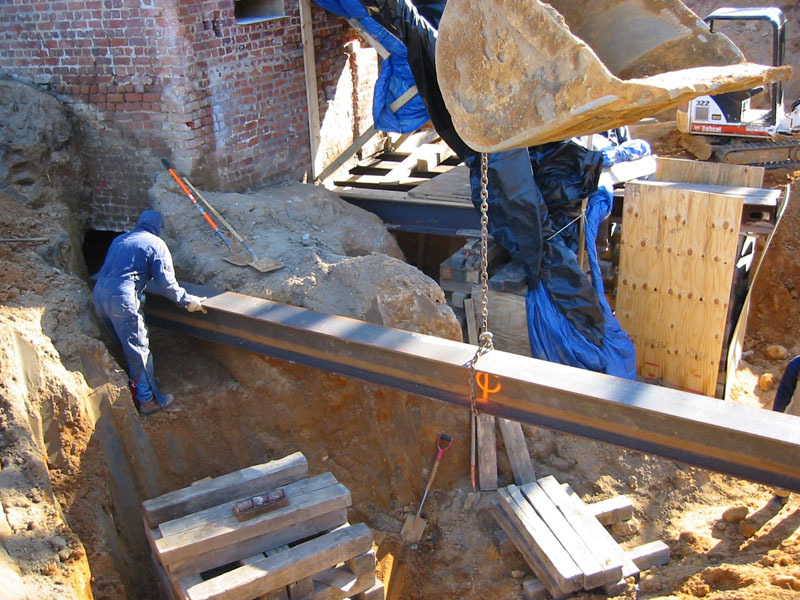 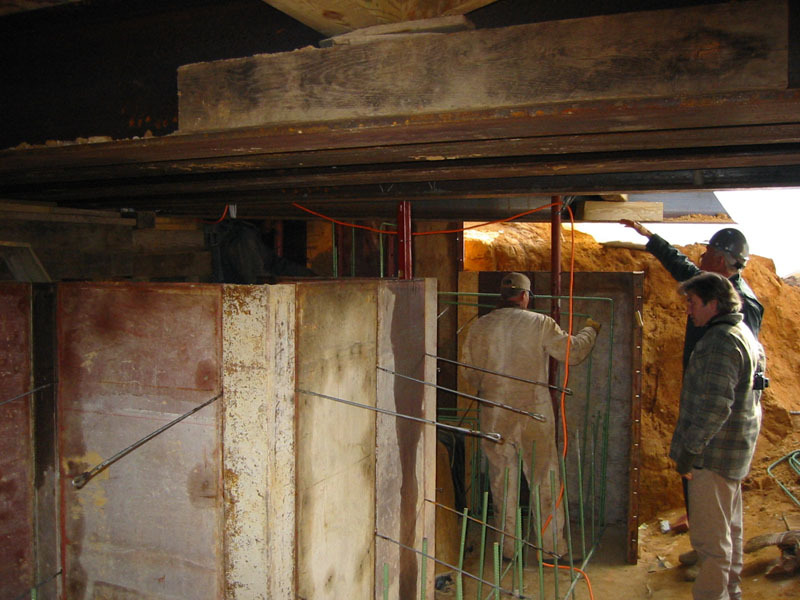 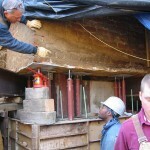 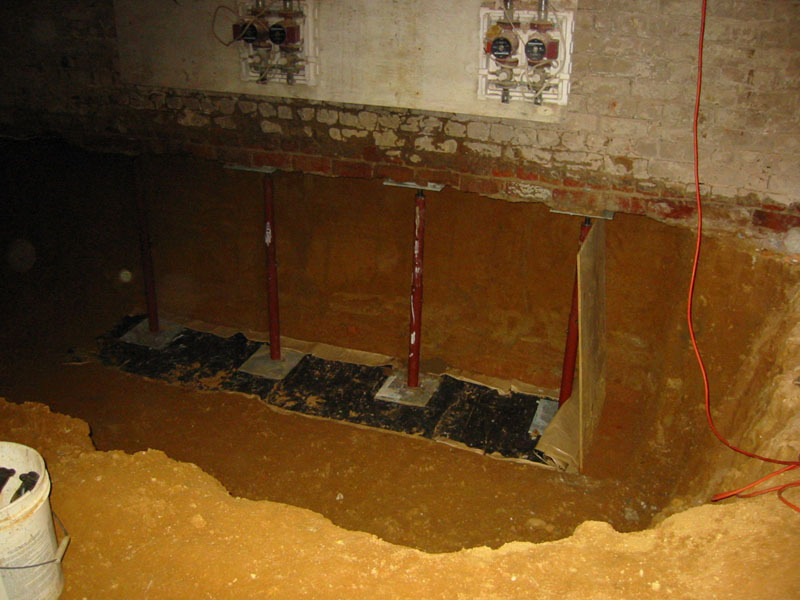 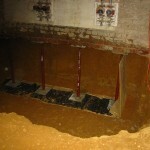 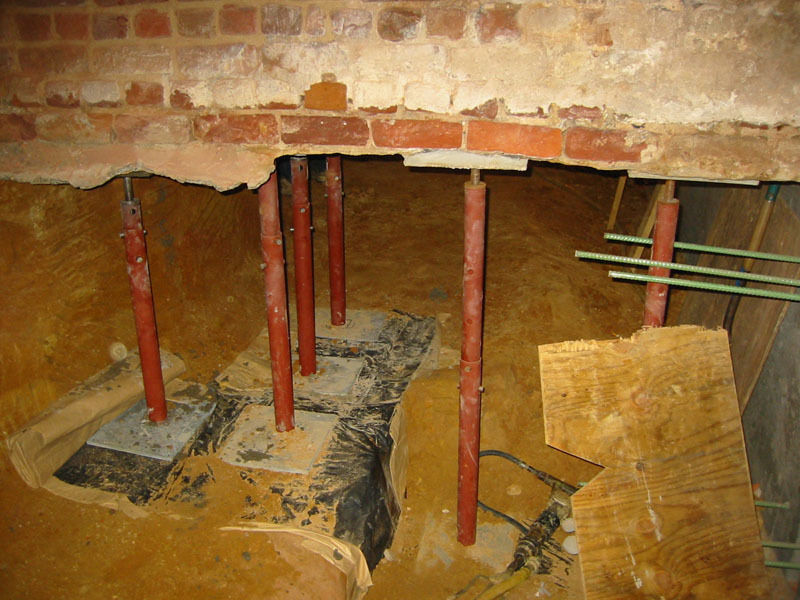 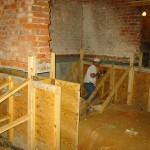 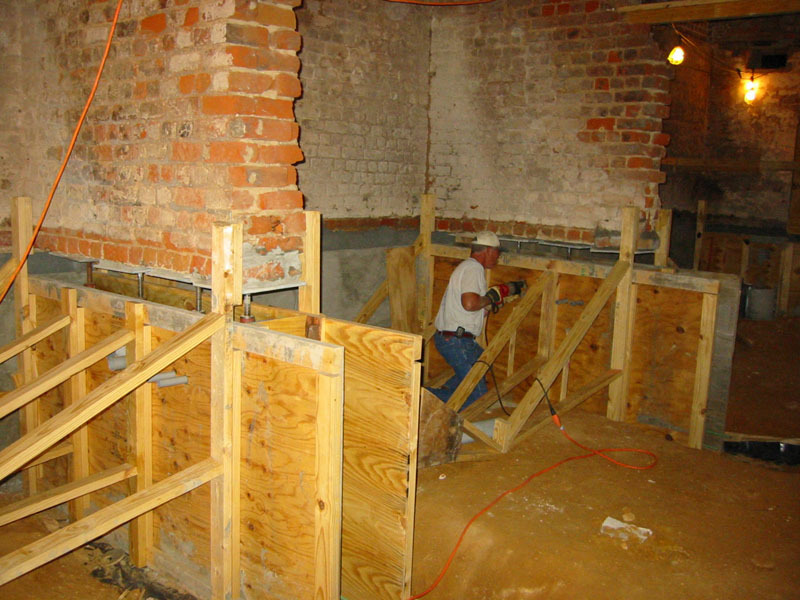 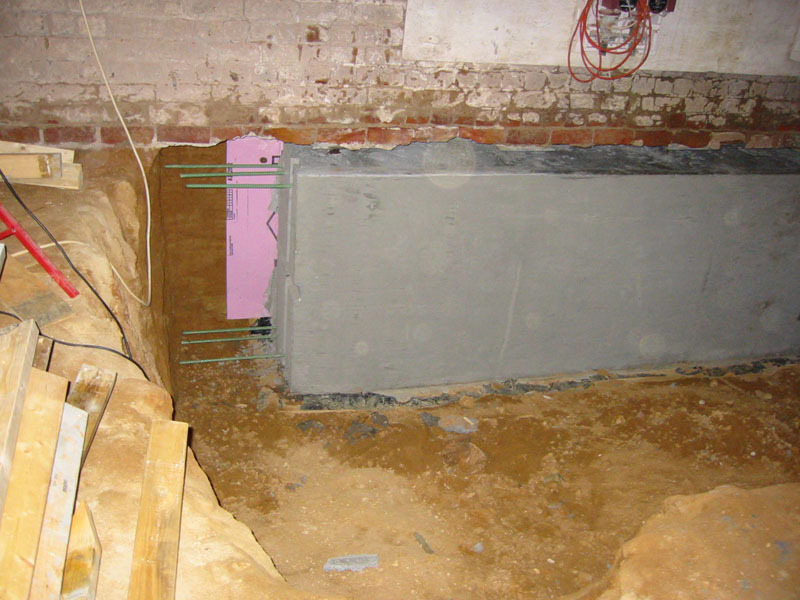 Building forms for cement underpinning. 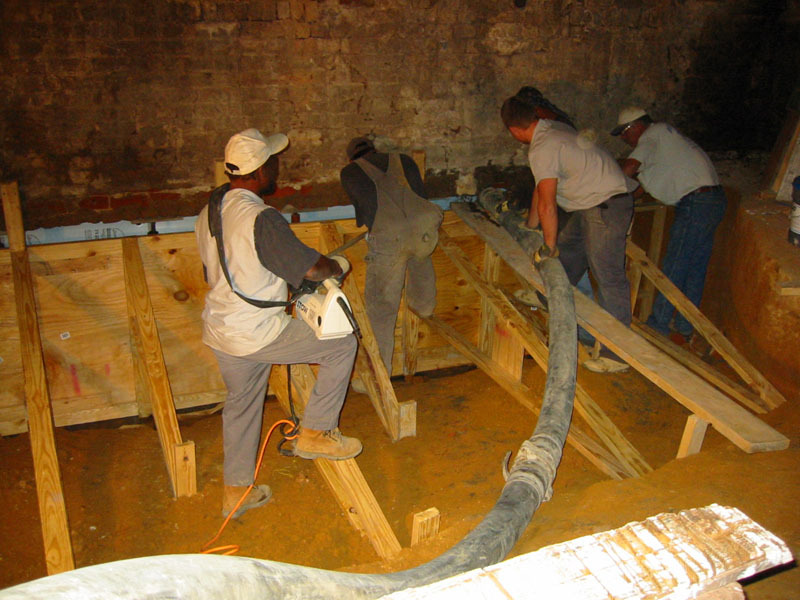 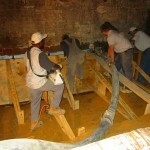 Pumping in cement for basement repair. 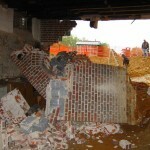 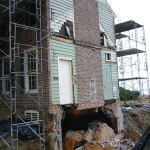 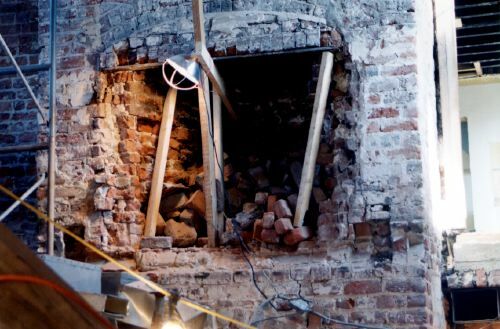 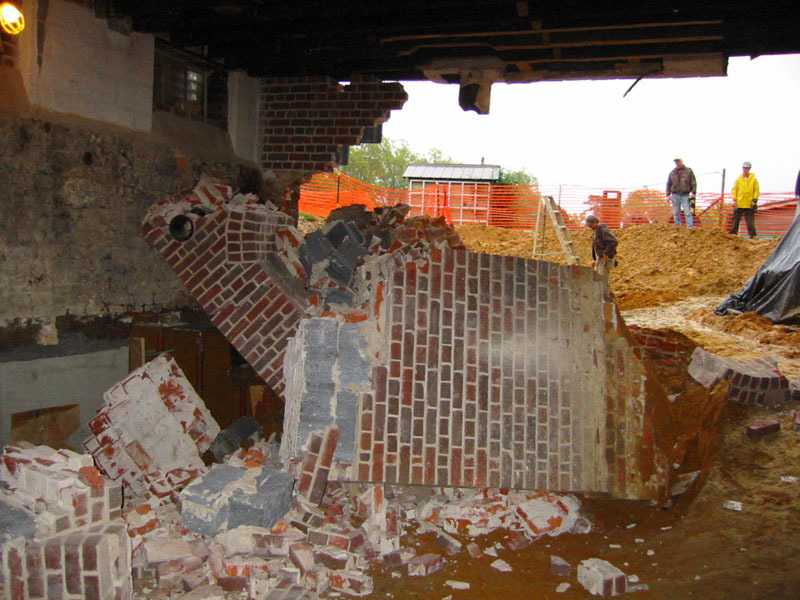 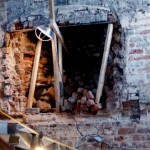 East wing foundation collapsed 2002. 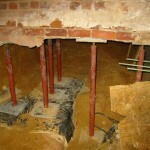 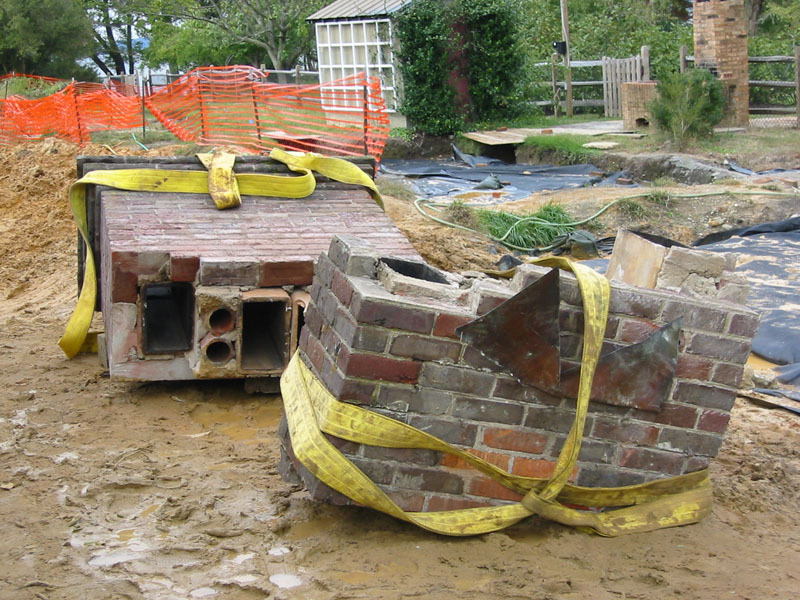 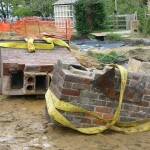 Chimney stacks and foundations repaired. 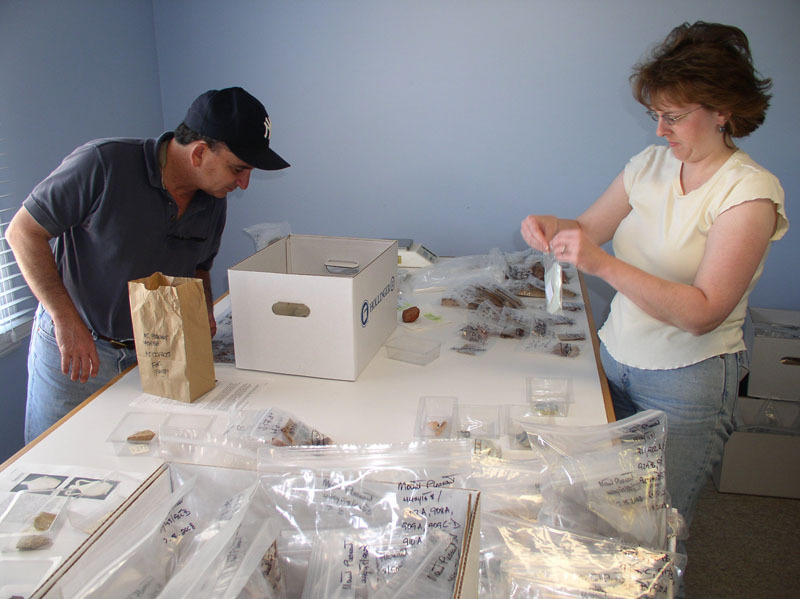 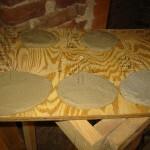 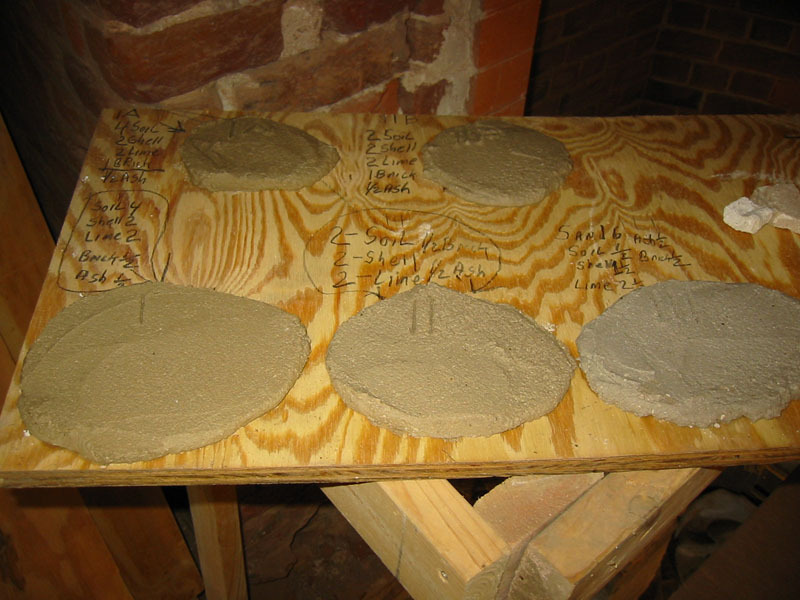 Historic mortar mix samples 2003. 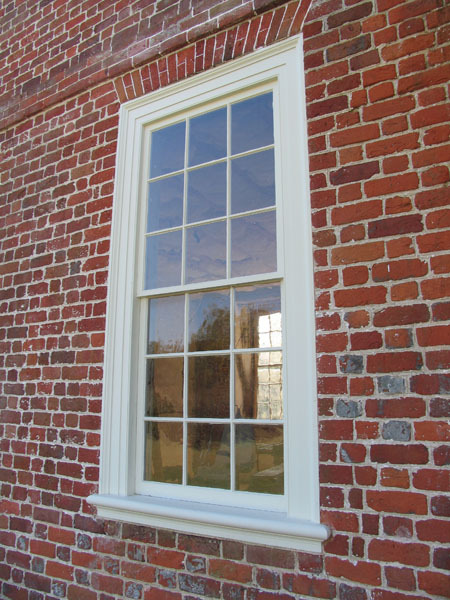 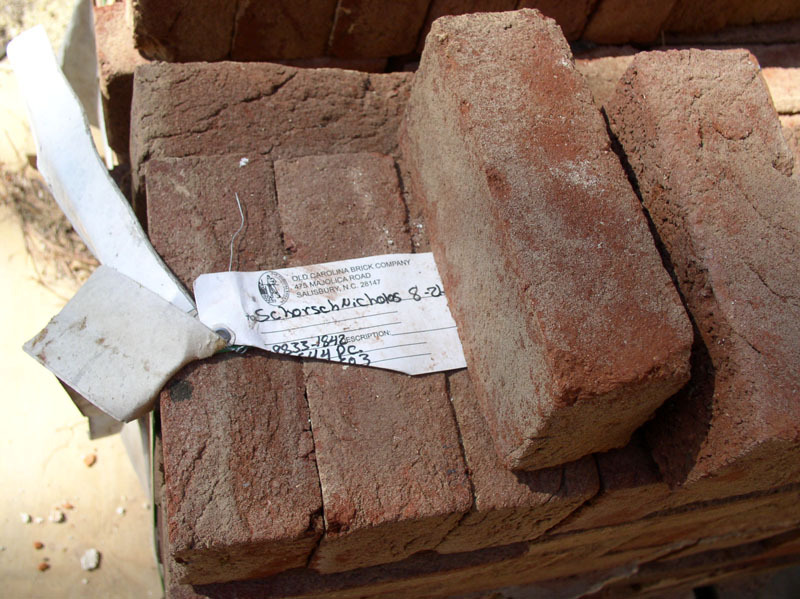 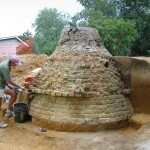 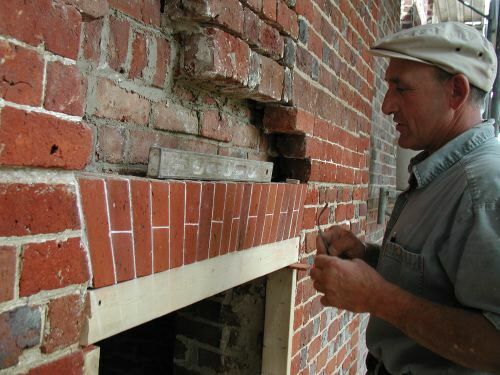 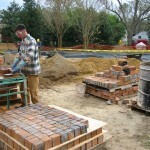 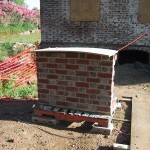 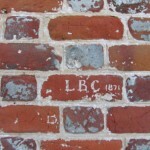 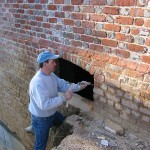 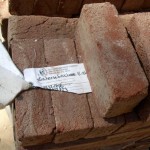 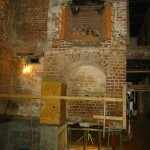 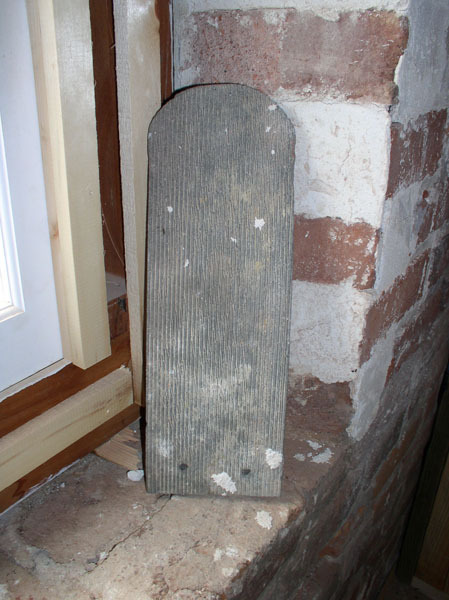 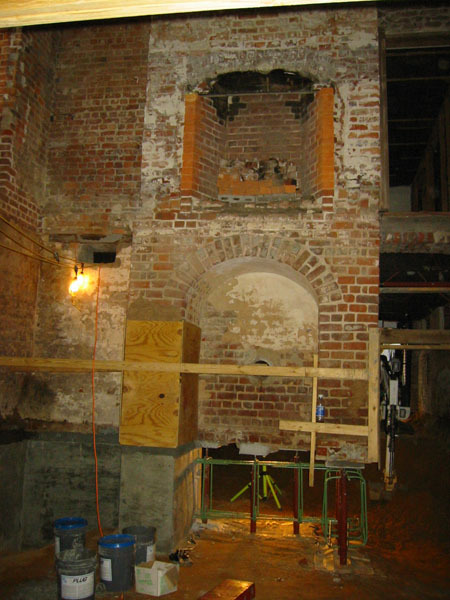 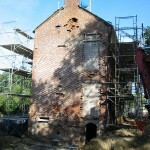 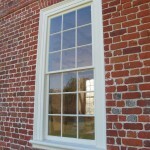 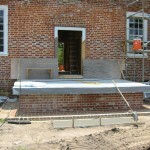 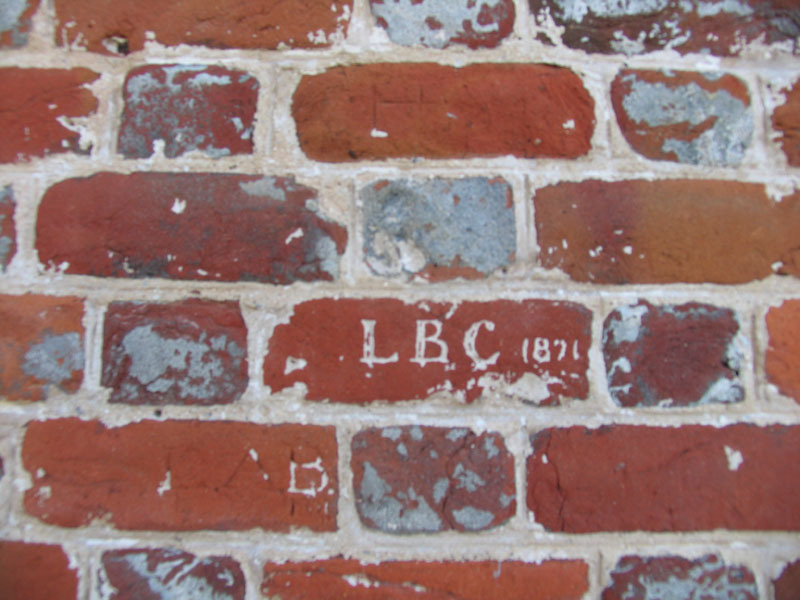 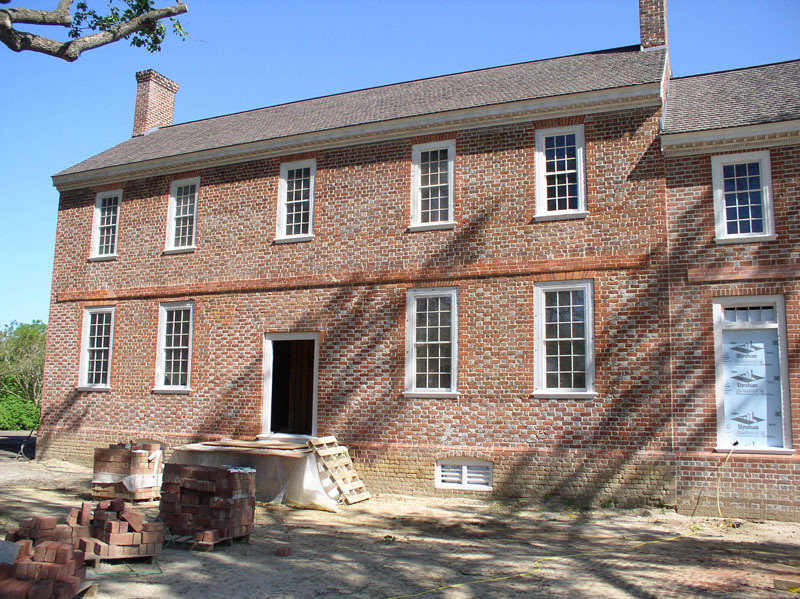 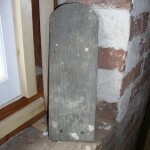 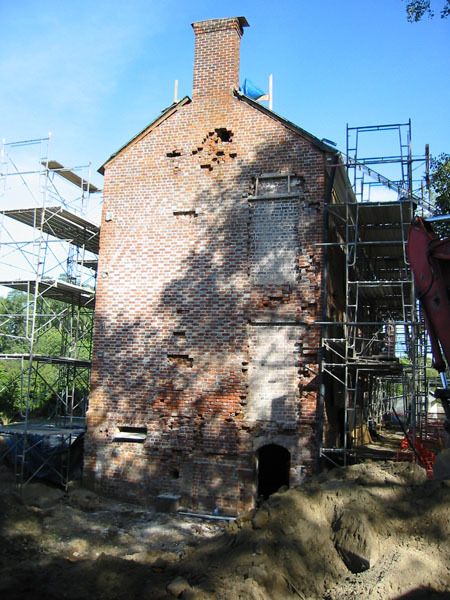 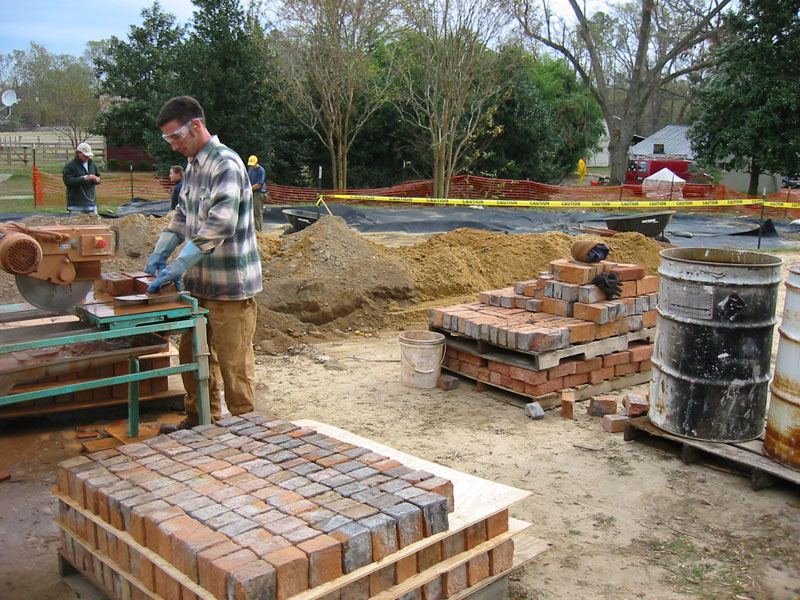 Old Carolina reproduction brick 2002. 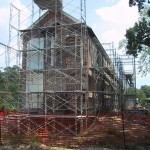 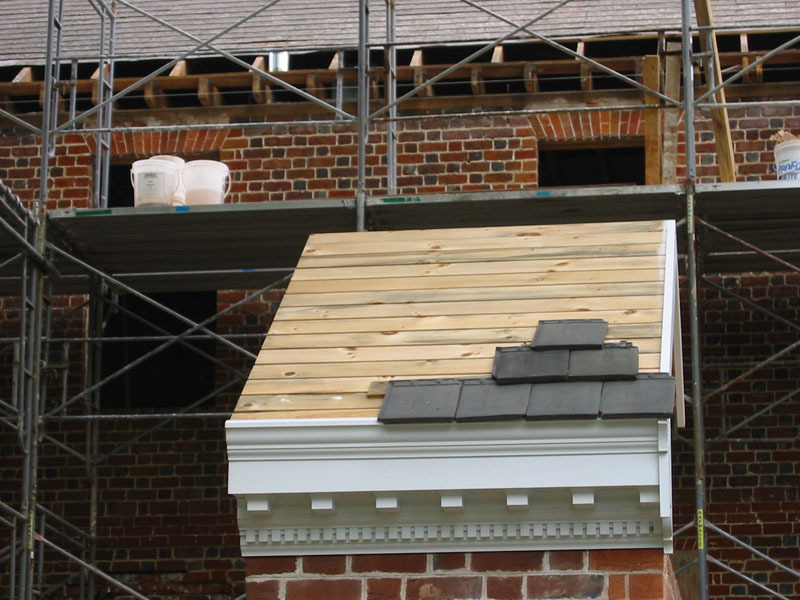 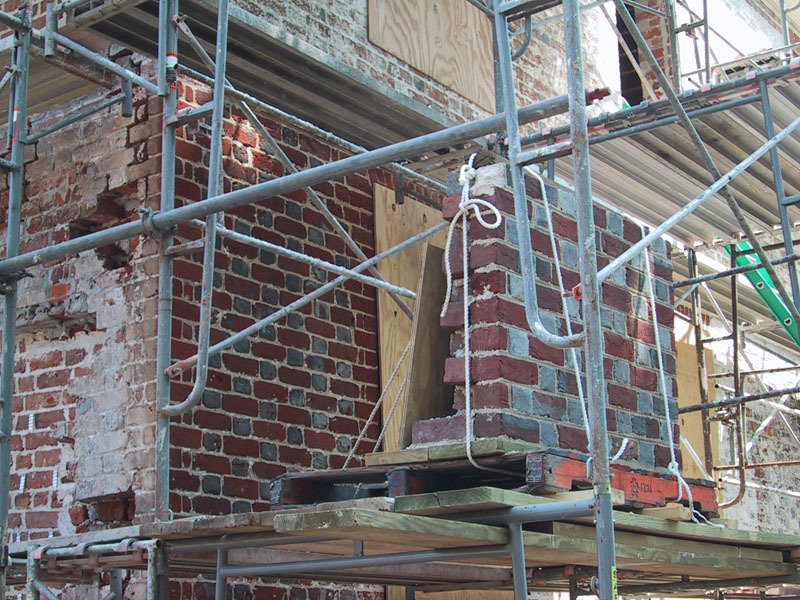 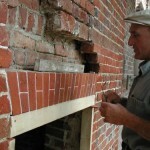 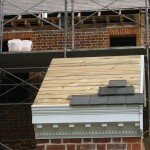 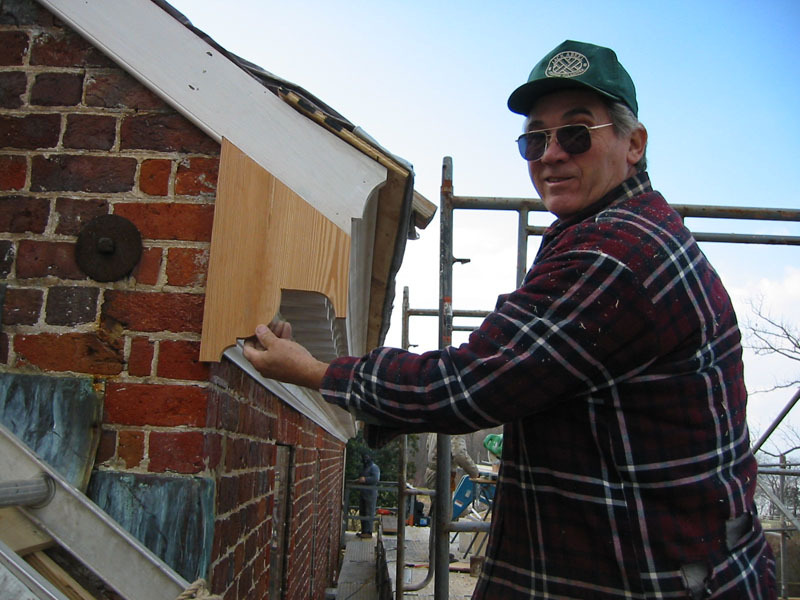 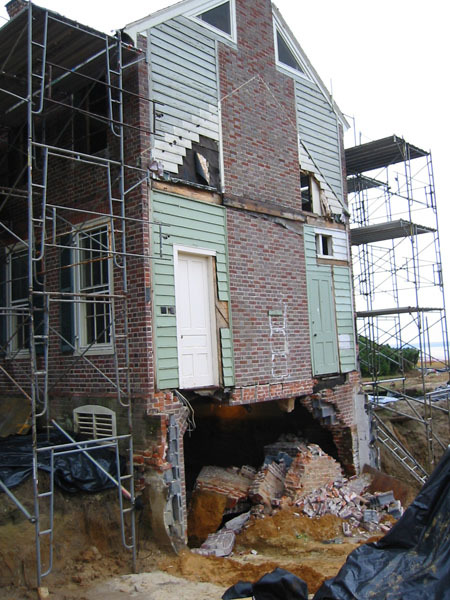 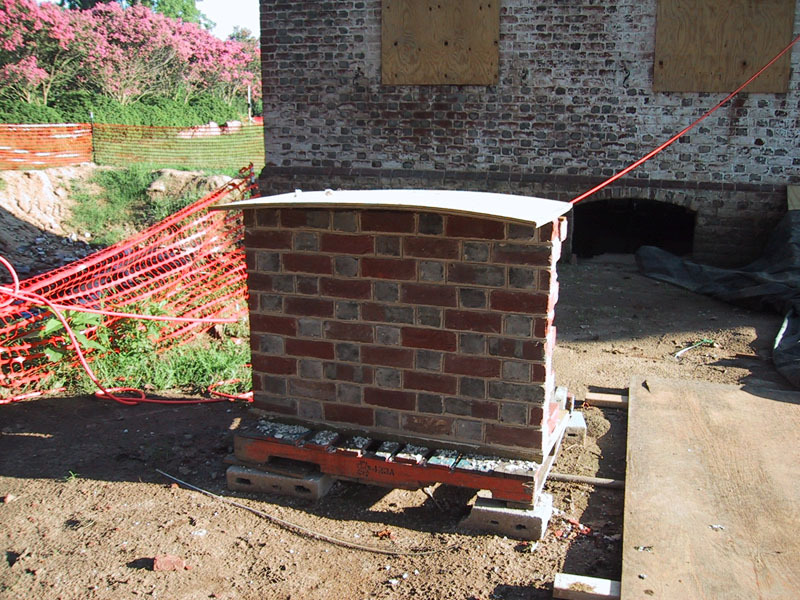 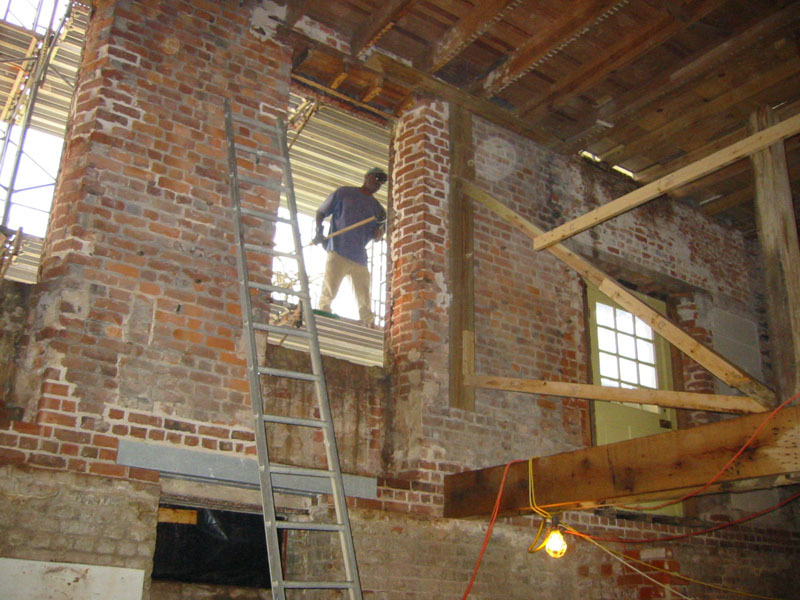 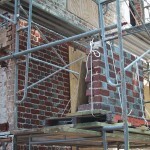 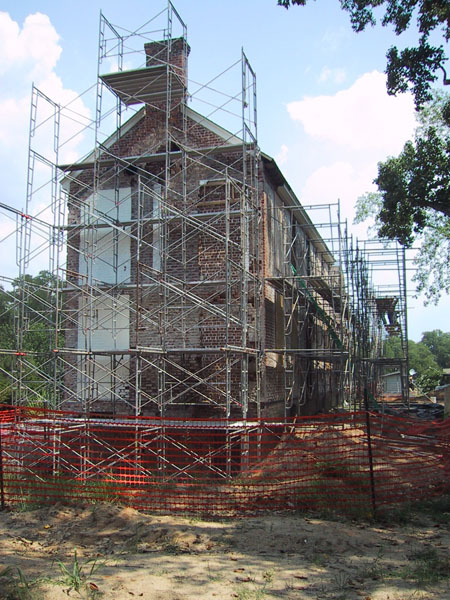 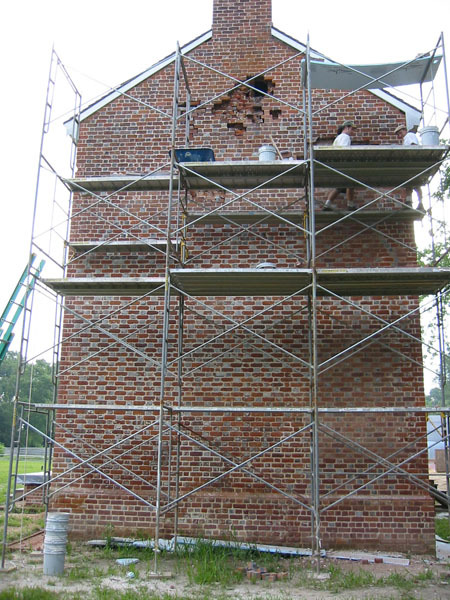 Masonry model on scaffold during repairs. 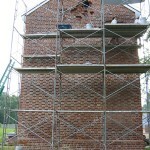 Flemish bond, mortar strike model. 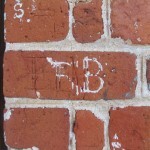 Old marks of previous masons. 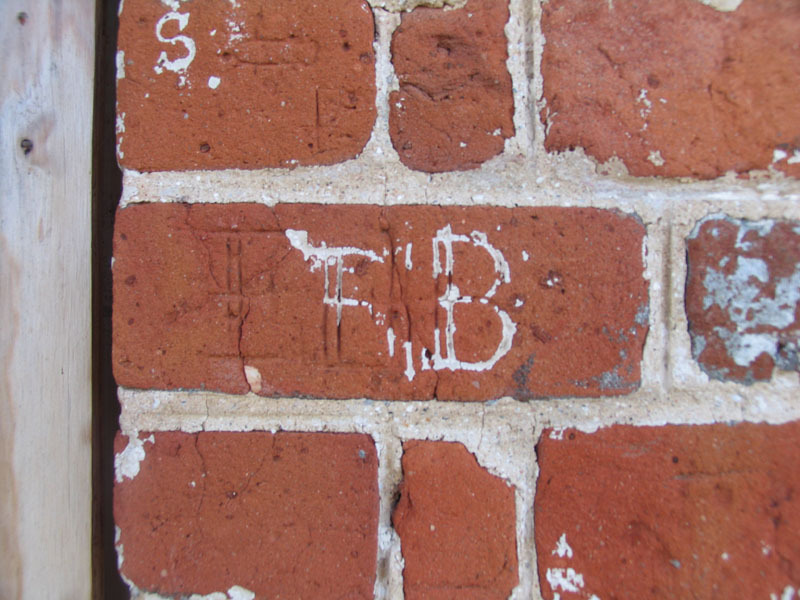 Pround marks of old masons. 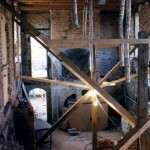 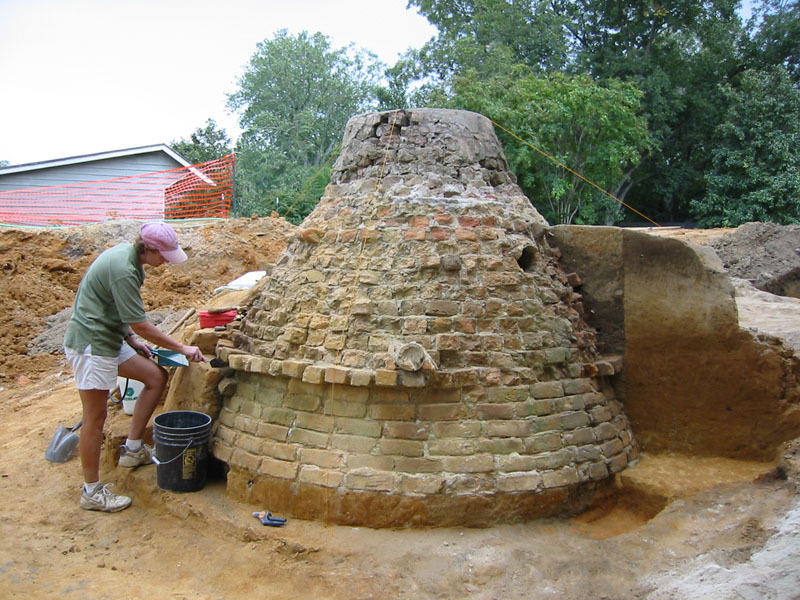 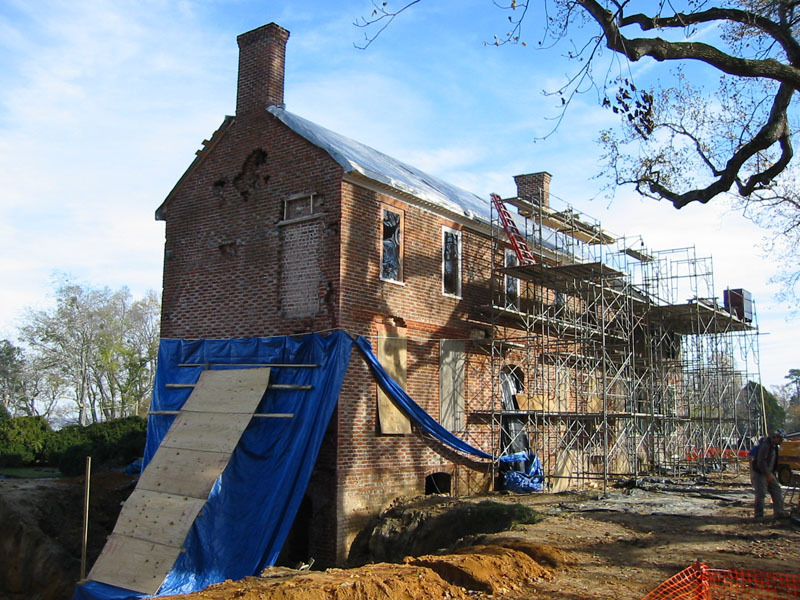 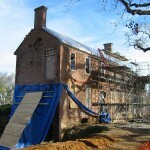 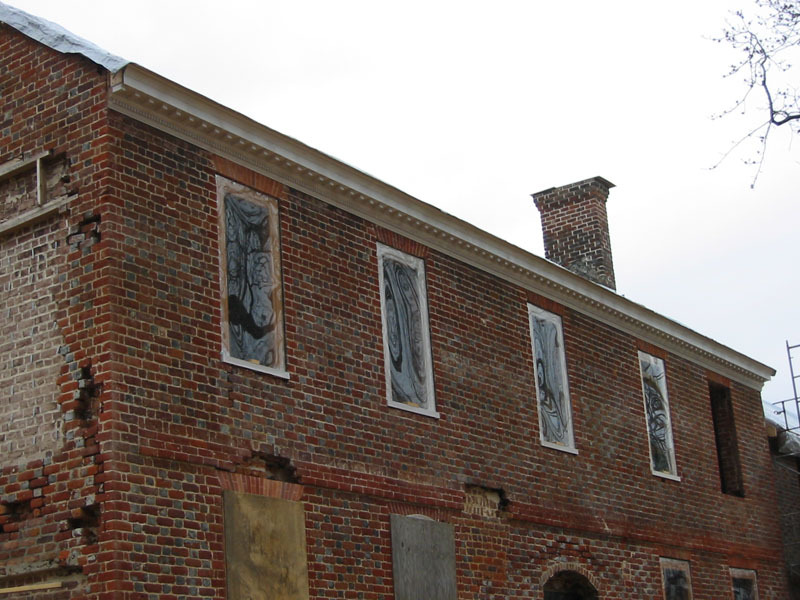 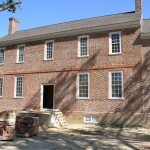 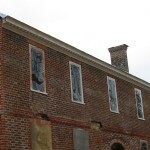 Historic mason, Ray Connetti, 2002. 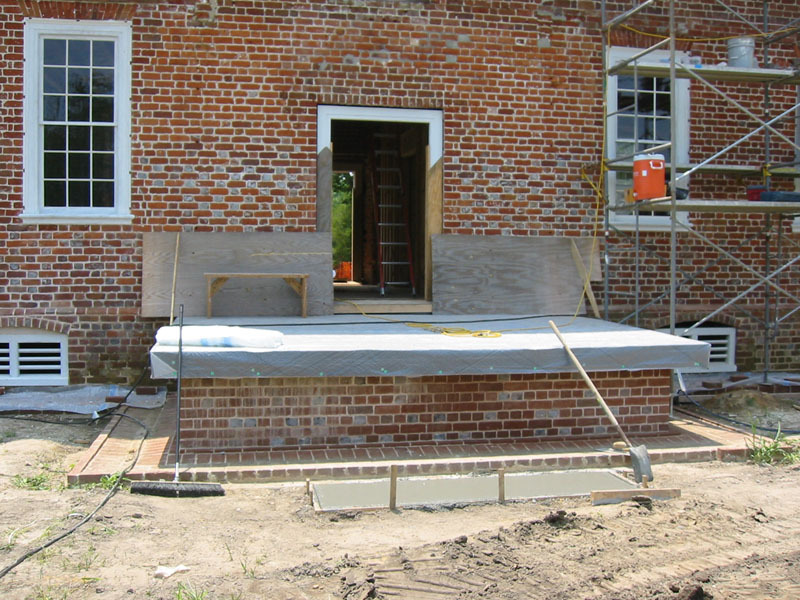 River side porch foundations laid 2004. 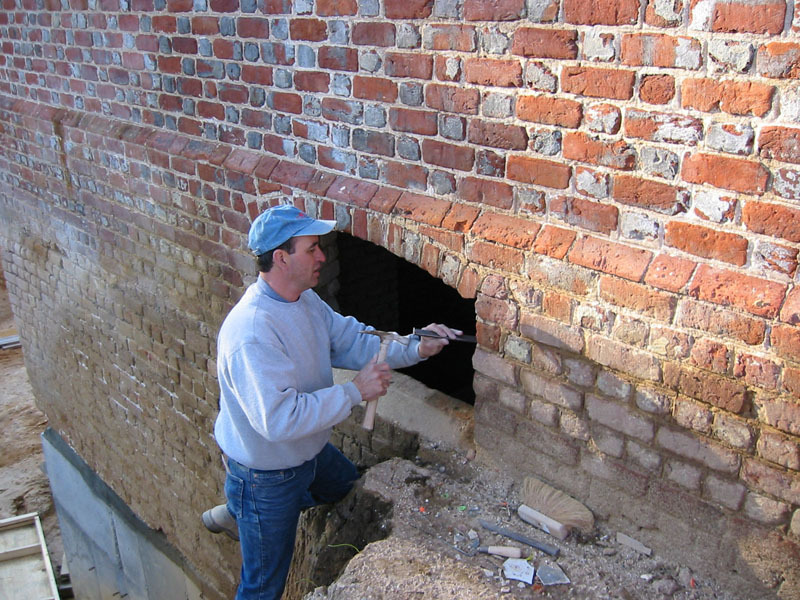 Land side repair and repointing finished. 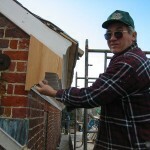 Jack Abeel master housewright, at work. 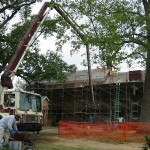 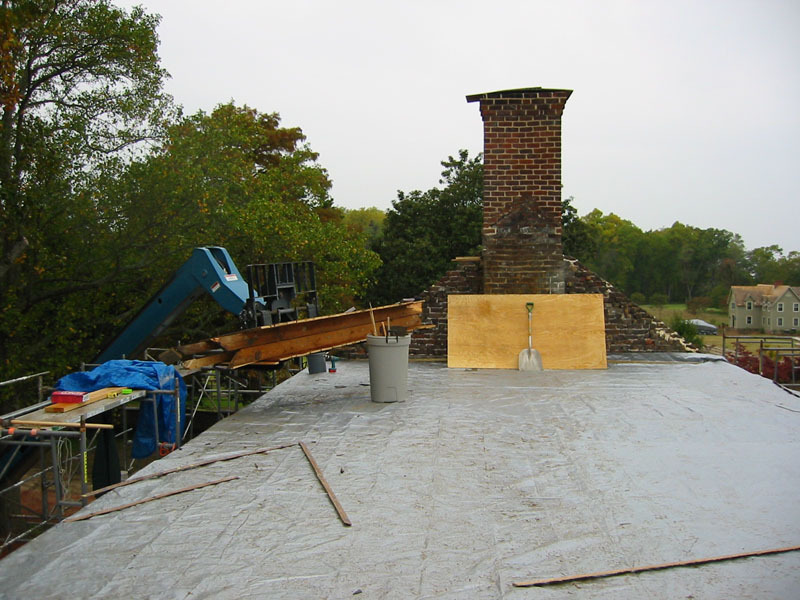 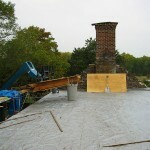 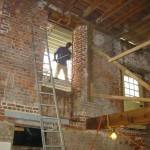 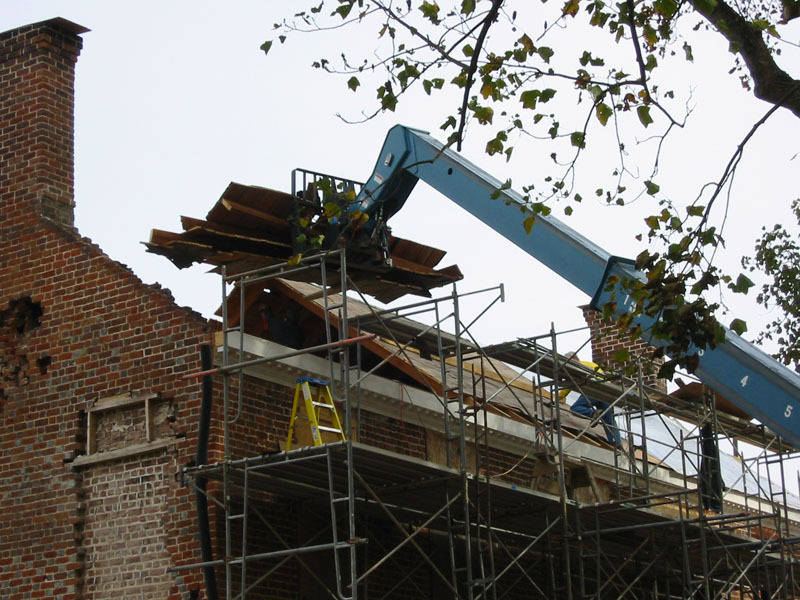 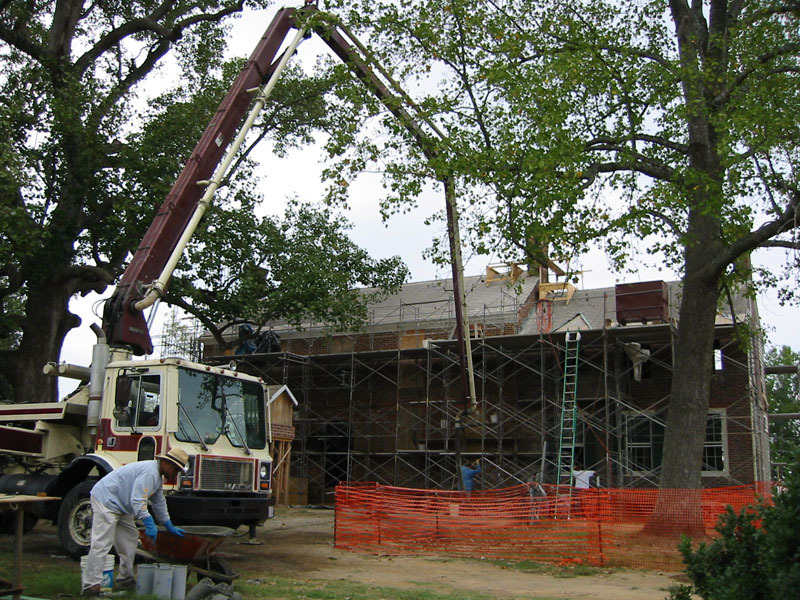 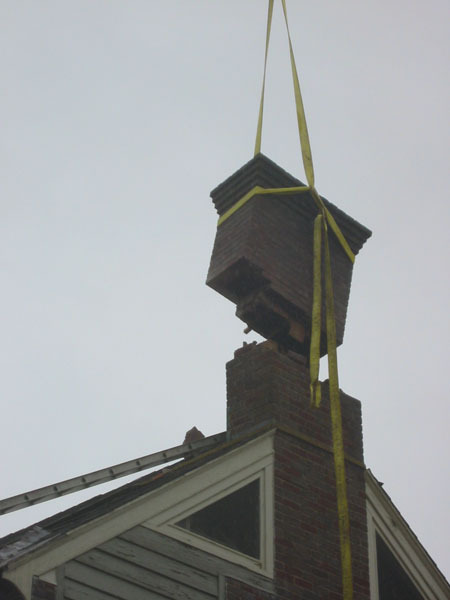 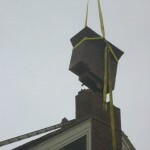 Removing modern chimney, frame addition.